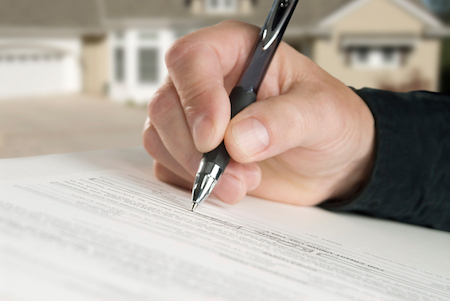 Title insurance protection is such a customary part of just about every real estate transaction today, that few agents – or customers, for that matter – give it much thought. But how and where did the need for title insurance begin, and why has it become so universal? Historians tell us the first legislation regarding ownership of real property in America was enacted in the English colony of Virginia in 1626. It required that all land sales be recorded within one year of the date of transfer in the General Court at Jamestown. As the recording system developed, property rights such as easements, liens, rights of way and other pertinent interests found their way into the recording of property sales. Property transfers were handled by ‘conveyancers,’ who searched the records for any such interests that could create liability for the new owner. In 1868, the case of Watson vs. Muirhead helped to create the title insurance industry. Charles Muirhead was a Philadelphia conveyancer employed by Watson to search and report on the title of a property Watson wanted to purchase. A judgment by default was outstanding against the seller. For whatever reason, Muirhead believed that the judgment did not constitute a lien against the property and, after getting an affirming opinion from a respected Philadelphia lawyer, he reported the title to Watson as being free and clear. Watson purchased the property. Sometime later, the judgment was, in fact, deemed to be an encumbrance on the property and Watson was forced to sell it to pay the judgment. He lost his property and his investment because of an error in Muirhead’s thinking. He sued Muirhead for the damages, but the court held that conveyancers were not liable for honest mistakes, and Watson was left without recourse. Largely as a result of that case, a group of conveyancers met in Philadelphia, and in 1874 the Pennsylvania legislature passed an act providing for the incorporation and regulation of title insurance companies, which triggered the founding of title insurance companies in urban areas all over the country.